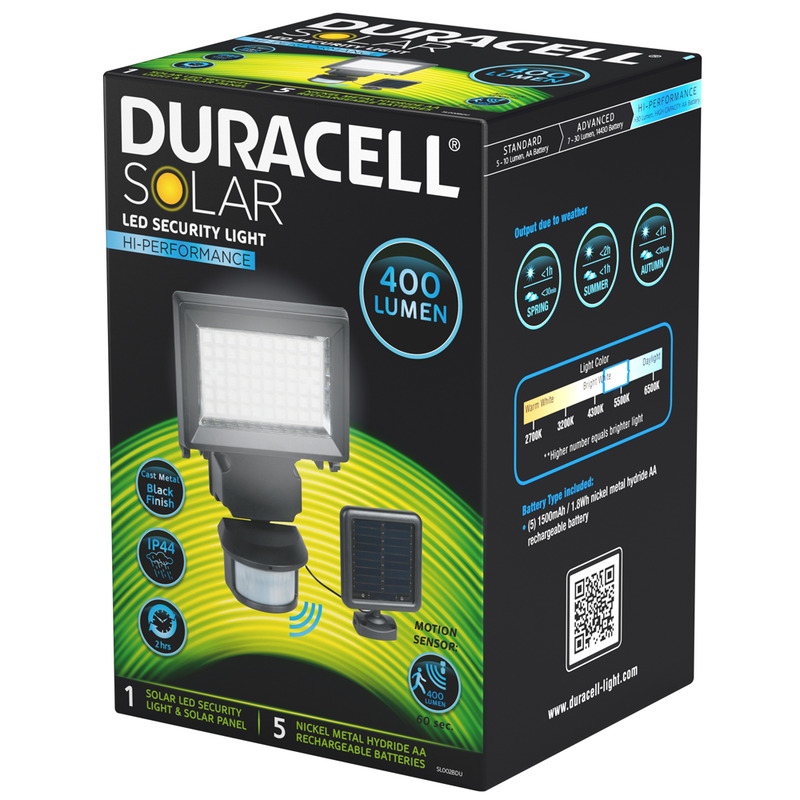 Our Hi-Performance solar LED motion sensor security light is perfect for lighting entrances and pathways to your home and garden. The highly efficient mono crystal solar panels charge the internal rechargeable batteries during the day to deliver up to 2 hours of continuous light on a full charge. When activated, the built-in motion detector switches on a bright 400 Lumens light filling a wide area and keeping your home protected and secure. Easy to install and easy to use fully adjustable settings to suit your needs.